Dept. of Civil & Environ. Eng. 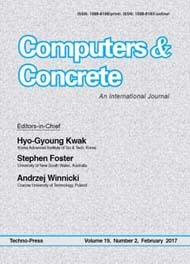 Computers and Concrete is An International Journal that focuses on the computer applications in be considered suitable for publication in the journal. Nat’l Institute of Standards and Tech. Hong Kong Univ. of Sci. & Tech. 3. Personal Subscription Rates : Please inquire at subs@techno-press.com.